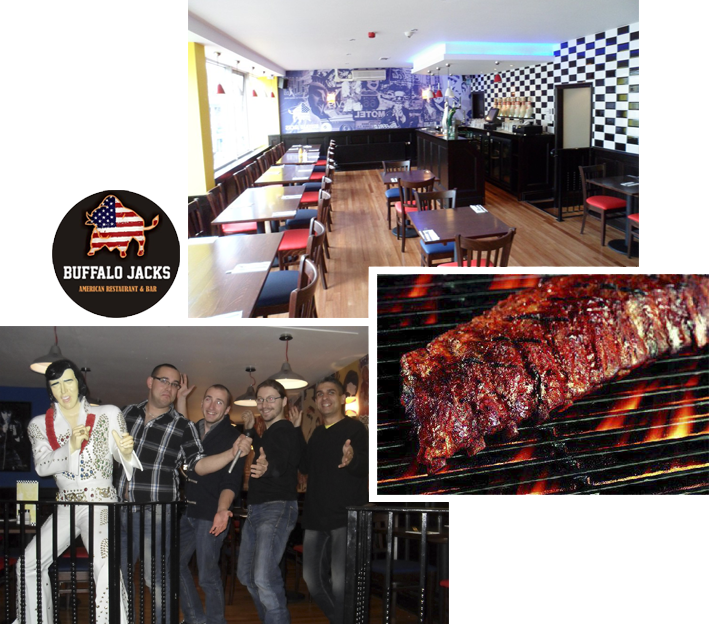 Buffalo Jacks is an American themed Restaurant & Bar situated on Queen Square in Liverpool City Centre. The team at Buffalo Jacks are working hard to provide the best possible American themed food and service to our customers. Get down to Buffalo Jacks for our amazing BBQ American Ribs… All fired up and ready to be eaten. Also try our Famous American Buffalo Wings… Covered on our secret American orange spicy sauce…. Or why not to try our most popular milkshake is the Reeses’s its an absolutely amazingly deliciously outstanding milkshake. Situated in the heart of Liverpool City Centre, Queen Square.